Droneflyers.com takes part is helping the Consumer Technology Association work out their projects for the future. As a result, we have access to the final number they come up with in terms of US and Worldwide Drone Sales. If you desire a more detailed or nuanced opinion/report you can contact me for a custom “reading of the tea leaves”. However, here are some of the basics – note that CTA figures represent wholesale pricing from the manufacturers to the dealers. You could add 20 to 30% to figure on the total retail dollars. US Market – Drones over 250 grams (most all current serious camera models) are expected to fall from 40% growth in 2018 to 13% yearly growth in 2020. Furthermore, a projected drop in pricing means that only a 5% increase in revenue is projected for 2020 – down from a 30% increase in 2018. Worldwide Market – The worldwide market is less saturated, so the forecast is for 43% revenue growth in 2018, dropping to 10% in 2020. However, in both cases the market growth in revenue is projected to be almost ZERO in 2021 – that is, at that point the market will likely be saturated and sales will stabilize and/or increase or decrease slightly…both worldwide and in the USA. Other Markets for Drone Related Services will likely grow. Accessories, third party apps, consulting, piloting and other smaller services and add-ons are not mentioned in the report. In Summary, the first stages of the Drone Boom are coming to an end. The future is never easy to predict – however it remains possible that additional breakthroughs will be made which allow for sales increases based on higher per-sale averages. Most of the current projects are based on a slight lowering of prices each year – while we have seen just the opposite in the past year. Experienced drone users have been actually paying more than earlier for advanced models like the Mavic Pro and the Phantom 4 Professional. However, the drone manufacturers face a similar problem as other technology companies in that once a customer owns a drone which is “more than good enough”, they may not be tempted to rush out and buy the next new model. These projections also do not include the middle and higher ends of the commercial market – ag, security, etc. – which could add substantially to the total revenues. Two relevant charts are above (click to enlarge) . Note – the CTA is the org. that puts on CES – Consumer Electronics Show – in Las Vegas. 2013 vs. 2017 – How Much Camera Drone tech do you get for your money? The advances in consumer Camera Drones have come quite quickly, outpacing similar technologies such as smart phones, computers and flat screen TV’s. As one example, an iPhone 3 in 2009 sold for a similar price as an iPhone 6 in 2016 (when inflation is considered). Of course, the newer iPhones are much more powerful and capable due to increased processing power. 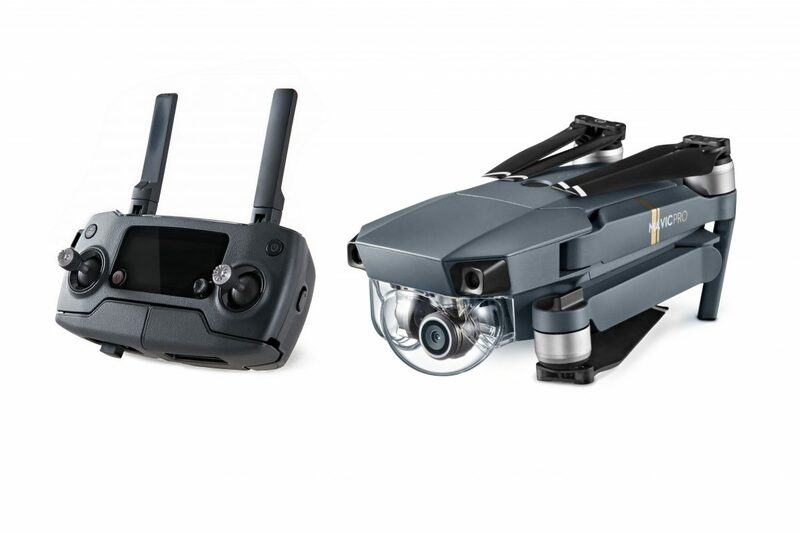 When it comes to consumer camera drones, the price/performance (value) evolution is much more drastic. As an example, we will use the first Phantom/Gimbal combination to illustrate the point. Presented below. Our rankings are based on various methods since Amazon often classifies camera drones into different categories, hence differing rankings. However, by cross referencing and checking other industry sources we develop the best possible guesses as to the overall market. Note – there is a large gap in-between the top 6 above and those below – however, we wanted to include other brands in order to give consumers the relative positioning of sales. The Parrot FPV model is doing OK, however the Yuneec and the Autel seem to be slipping further down in ranking from our earlier articles. Our opinion is that the consumer drone market is driven largely by new product introductions…and the DJI Spark and Mavic Pro represent that. The Phantom 3 Standard continues to sell only because it is the only full featured major brand which comes in below the $450 price point, making it affordable to a much larger target market. Note – some of the models above are available refurbished – often direct from the manufacturer and/or with full warranty. Some of these are good deals – some less so. To check on DJI (direct) available Refurbs you can go to this page on their site. Overall, the summer of 2017 seems to represent a bit of a lull in drone sales with the exception of the Spark, due to its recent introduction. It is also possible that some segments of the market are approaching saturation and/or clashing with the reality of drone rules and regulations. Some hobbyists are complaining that it is difficult to find places to fly due to airport siting, population density and other such reasons. At the same time, the new possibilities in commercial operation (Part 107) should result in some growth for certain companies and models. As in previous years, much of the tale will be told by sales in the November/December/January time period. Although we don’t yet have firm predictions, our off-the-cuff guess is that the DJI Spark will dominate the holiday sales due to its positioning as a truly portable consumer drone. Future articles will explore the Fall/Winter sales projections in greater detail. InterDrone is one of the top US drone industry trade shows. Classes, Seminars, Keynotes and Exhibits….plus networking. It is a must-attend for those who want to quickly get an idea of where the industry is…and where it is going. Speakers this year include the head of the FAA and Intels’ CEO – World Class! Walkera, 3DR, Xiro, eHang, Autel, Yuneec, Parrot, Upair, GoPro, Blade, Hubsan, Hexo+, Airdog and many more. Putting the numbers in perspective, if DJI is going to sell a million drones in the USA (estimate), Canada and Mexico this year, only three of those companies have the possibility of 5% of this number (50,000 units). These companies are Yuneec, Parrot and Autel. All three companies have announced staff reductions and, according to our internal calculations, are losing market share and struggling to even break even. In the world of high-tech, unit counts such as 50K are not true mass production and therefore have a much higher cost structure. Why? How? It’s an interesting exercise in competition and engineering to summarize how one company came to dominate the field. We have already written extensive articles on DJI and GoPro as well as a number of pieces touching on the “Drone sales wars” – however, since the war is over we felt a short history lesson might be in order. The world of technology is moving quickly. A company like Tesla can now design a self-driving car – an item infinitely more complicated than a consumer drone – and produce it within approx. 3 years. With consumer drones, the development cycle for DJI is probably about one year…but, the big difference here is that it takes a smaller company 2 years to come up with a “so-so” new drone while DJI has, in the shorter time period, come up with something truly revolutionary (Mavic Pro, for example). To accomplish this, vast amounts of capital and credit are needed. DJI, given their reputation, has no problem raising money AND their cash flow is such that they often get paid for the completed quadcopters before they have to pay for the components (even many large customers prepay DJI for product!). Another secret ingredient is people. DJI usually hires only the best for their higher level jobs in engineering, design and marketing. 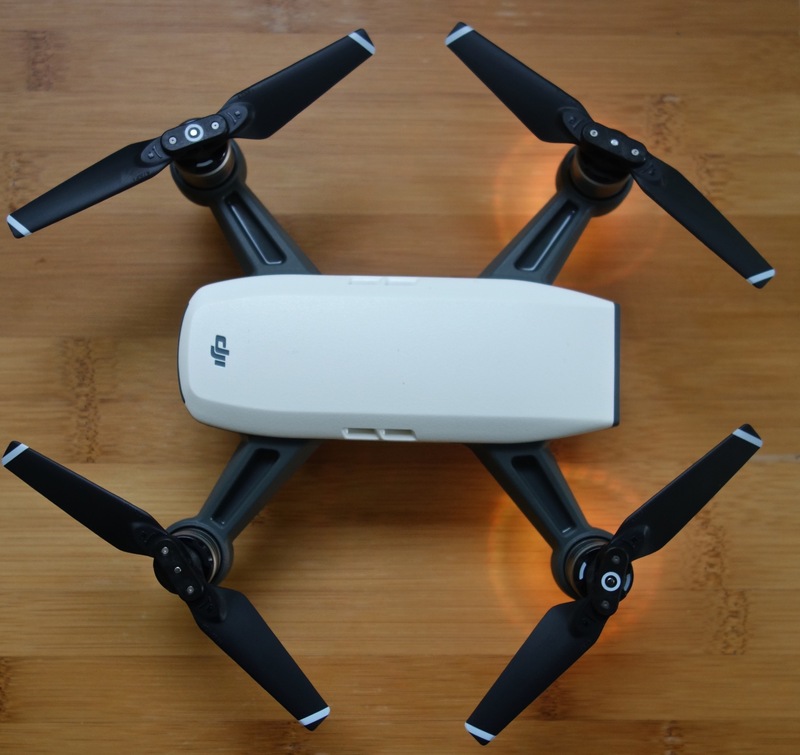 The smaller makers may be able to attract some dreamers, but DJI has the advantage of years of IP (design and engineering problems solved long ago), so their engineers have a head start in years in terms of the total product package. DJI makes a lot of mistakes – but most of them are small and can be fixed in software. For the past couple years they have gotten most hardware right the first time…not unlike most smartphone and computer makers. This is no small accomplishment because making a consumer drone is actually harder than making most computers…since you can buy off-the-shelf components and operating systems for a desktop or laptop. When I started following DJI in 2014 I noticed that they, unlike most fast growing companies, actually listened to consumers and made additions to features which were requested. Some of these changes were not easy – for example, the opening up of the Drone Operating System with an SDK (allowing other developers to create software that extended the uses) and the addition of Intelligent Flight Modes (point of interest, waypoint, etc.). DIY Quadcopters & Drones – Instructions for Hobbyists. This article will provide basic instructions, advice, links and other information for those who wish to embark on DIY Quadcopter or Drone building. We will discuss the parts needed for a quadcopter and provide recommendations for various quadcopter (DIY Drones) parts lists. Most of our links are to Amazon because it is easy for many people to order – however, if you live somewhere else in the world you can get the same or similar parts from Banggood (Chinese site with warehouses all over the world). Note: many other online articles on this subject are very old (possibly dated). Much has changed in the world of drones and this mid-2017 article will reflect those upgrades and changes. Question #1 – Should you Build your own Drone? Back in 2012-2013, the answer for those who wanted a reasonably priced quadcopter would probably be YES. However, the market has changed and now you can purchase a fully assembled and working drone for the same or less money than building one. Let me lay out some of the reasons why you should – or should not – consider DIY for your Quadcopter. I am a researcher and interested in learning how to build and program drones and controllers so that I can use that knowledge to either enter or enhance a career. YES, you should consider a DIY Machine. Drones look really cool and I want to see if flying them and/or taking pictures or videos is something worthwhile. My wish it to eventually make money (or just appreciate landscapes, etc.) from Aerial Video and Photography. NO, you should probably follow the traditional method of learning about drones and buy RTF models (see our guides, comparisons, etc.). I am very mechanically minded and have some knowledge of electronics – and know one end of a soldering iron from the other – I know how to use a multimeter and, frankly, enjoy learning and building things. YES, you should consider DIY. I am “all thumbs” when it comes to detailed work, troubleshooting and lack patience. I just want things to work…or to be able to contact a dealer or manufacturer if they don’t. NO, you should follow the traditional route. See links at the bottom of this page. I caught the FPV/Racing bug (racing through hoops, obstacles, etc.) and want to create a custom machine that can fit my needs better than what is on the market. MAYBE you should DIY, but you also have the option of a middle ground…buying a machine which is assembled and works and then modifying it. “Mods” are considered a big part of the DIY part of the Drone Hobby and you can find forums, articles and instructions on just about any aspect of them. Ok, So what Type/Size of Machine should I DIY Build? The “350-450” class of machine, which are about the size of the popular DJI Phantom or a bit larger. These machines are large enough to easily carry a camera, see (visually) at great distances and often include a GPS module…meaning they can be controlled easier than machines without any positioning equipment. The FPV/Racing type of machine – usually in the “250” or less size range. These are for “park flying” where the idea is to actively pilot the craft closer to the ground and faster. Most of them lack GPS, but there is an almost endless variety of frames, motors and other parts to build them. The task of measuring Consumer Camera Drone Sales on Amazon is getting more and more difficult, as these drones are often placed in the wrong categories – therefore the wrong sales rank! However, with a couple hours of work, we are able to get a good guess at what is selling – and what is not. In general, our list only covers consumer camera drones with stabilized cameras – in the $400-$1800 price range. This covers the vast majority of current serious drone purchases (toys are another story). The short story here is that DJI continues to dominate. In fact, things seem to have gotten worse for the two former competitors, Yuneec and Autel, neither of which will make this list. Please note that we add comments and opinion in this listing. #1 – The DJI Mavic Pro still appears to be the largest selling Camera Drone on Amazon. This could change once a large supply of #2 becomes available. #2. 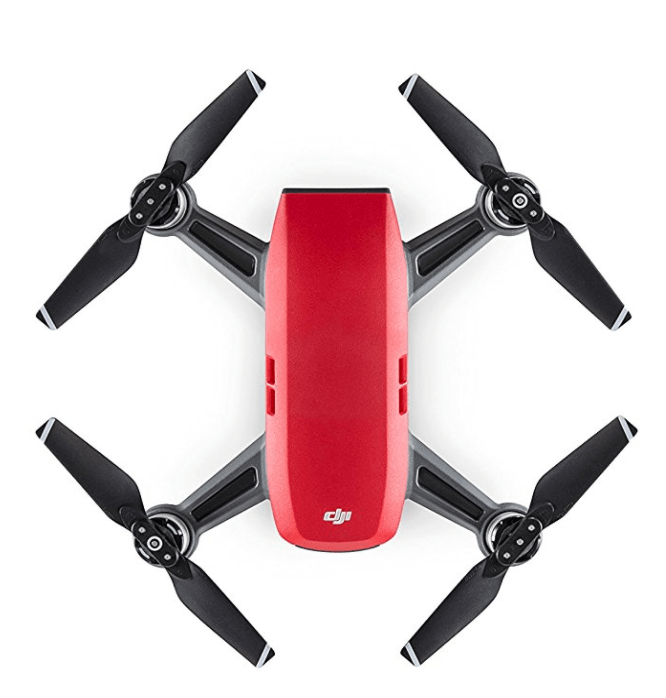 DJI Spark Fly More Package – this is DJI’s new super-compact drone…however this package contains a number of extras which expand the capabilities. This unit is also available in multiple colors. Note: It remains to be seen if Spark has the “staying power” of Mavic Pro or of the Phantom lines once the initial early adopters buy theirs. Note – we are adding a number of videos on our youtube channel. Most are embedded in this article however the direct link is here. We also have a “Forum Continuation Thread” where we are posting tips and hints as they are known…and where you can even ask a question and take part in the conversation. Here is the link. DJI introduced a smaller and lighter camera quadcopter (drone) named Spark on May 24. The Event was held in Grand Central Station in New York City. Price: $499 for the basic unit – operated by gesture control and/or smartphone. 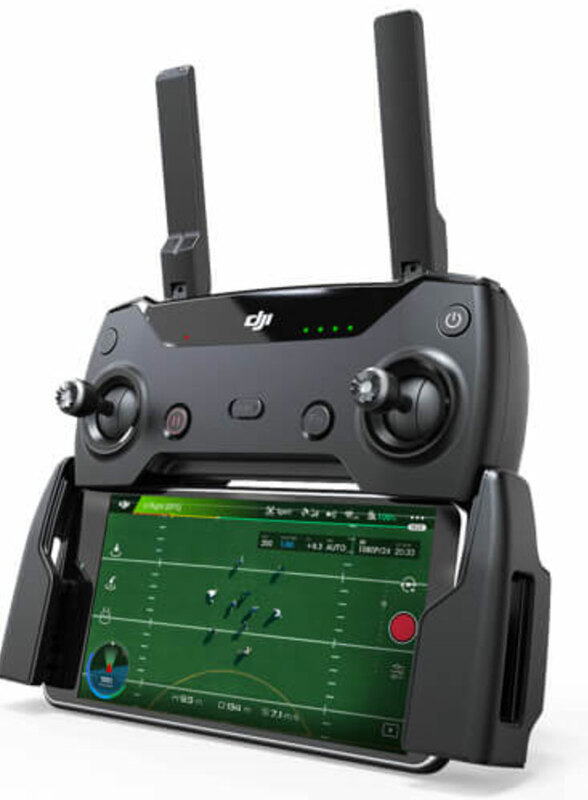 $699 – for a complete package with Remote Control, Case, Prop Guards, Multiple Battery Charger, etc. The DJI Spark is a small drone that does not fold – but is smaller and lighter than the Mavic Pro. 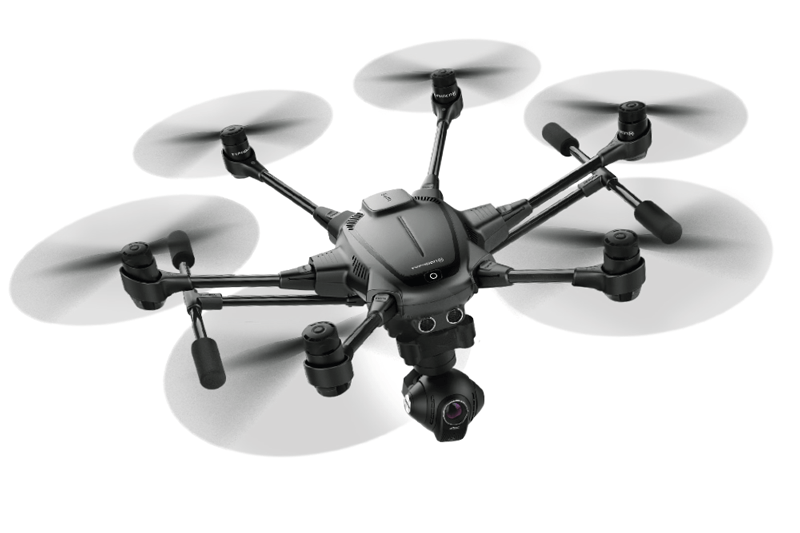 It contains a 2-axis gimbal capable of 12MP Stills and 1080 Video. The DJI Spark is positioned as a “starter” drone but I’m sure more experienced and creative pilots will be able to use it also due to its size and capabilities. If you just want to order one now – try this link at DJI. Amazon is now taking orders also for Mid-June Delivery – here is a link. Flight time is advertised as 16 minutes – this is a maximum without the prop guards, which add quite a bit of weight. Figure on 12 minutes when you are using the prop guards. True flight time (usable) is closer to 13 minutes without prop guards and 10 minutes with. The battery only takes a couple seconds to swap out, so this is not going to be a problem for the close-in work this drone is designed for. Note – there are some fancy moves such as “palm launching” as well as new camera modes and controls – most designed for the “selfie” aspect of this model. 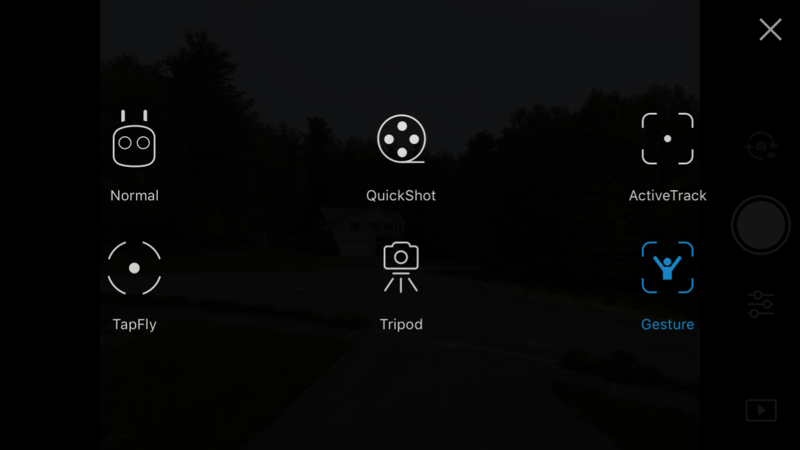 For example, a pano mode is included as well as a option to have a shallow depth of field (DJI calls this “Shallowfocus”). Vertical and Horizontal models are included (Landscape and Portrait). An R/C (Remote) will be available for the Spark – as an extra cost option. This greatly extends the range and height. http://www.dronespeak.com have both been acquired by Droneflyers.com. As a result of these purchases, both domains now point to the Droneflyers.com main web site. However, most of the blog posts, articles and other information contained in those two sites now resides in our archives here and can be found in numerous ways. You can use our search box – or even use google and any result that points to those two URLs (web sites) will automatically transport you here. We will be deleting and/or updating articles which are far out of date or contain information which is not useful today or in the future. Of course, if you want the newest and freshest articles, reviews, opinions and links you can simply navigate using the menu links at the top of the page or click the Droneflyers logo to be transported to our front page. We hope some of you find the content from the other web sites useful. Note – if you have a drone web site you are no longer updating we’d be glad to speak to you about taking over the hosting of the content. It’s always a let down when good information disappears from the internet. 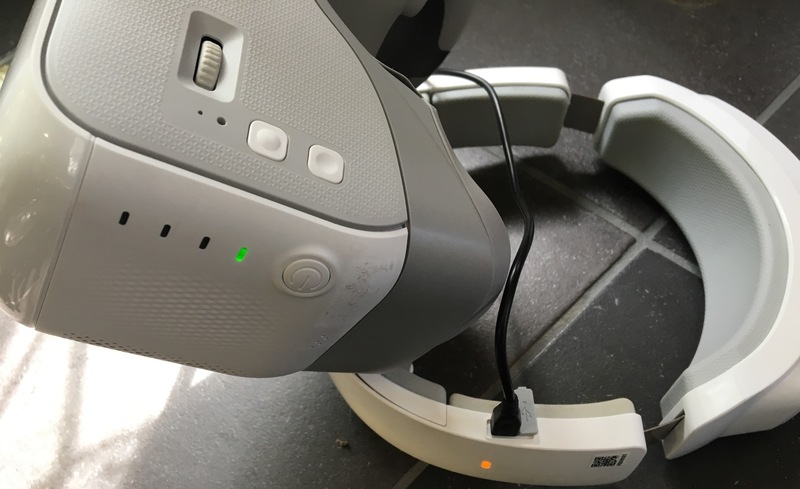 DJI Headset Goggles review! – Now available for Order – specs, videos and more! When DJI announced the Mavic Pro, they also showed a pair of advanced FPV/VR Goggles. Unfortunately, these have not yet been available – until now! In the meantime it appears they have cut the price in 1/2 (based on original projections). The goggles are available to order for just $449. DJI has provided us access to an early shipment of preproduction – we have now received them and are in the process of a full review. If you are interested in getting in line to order, check out the DJI order page – all of the specs are there also. 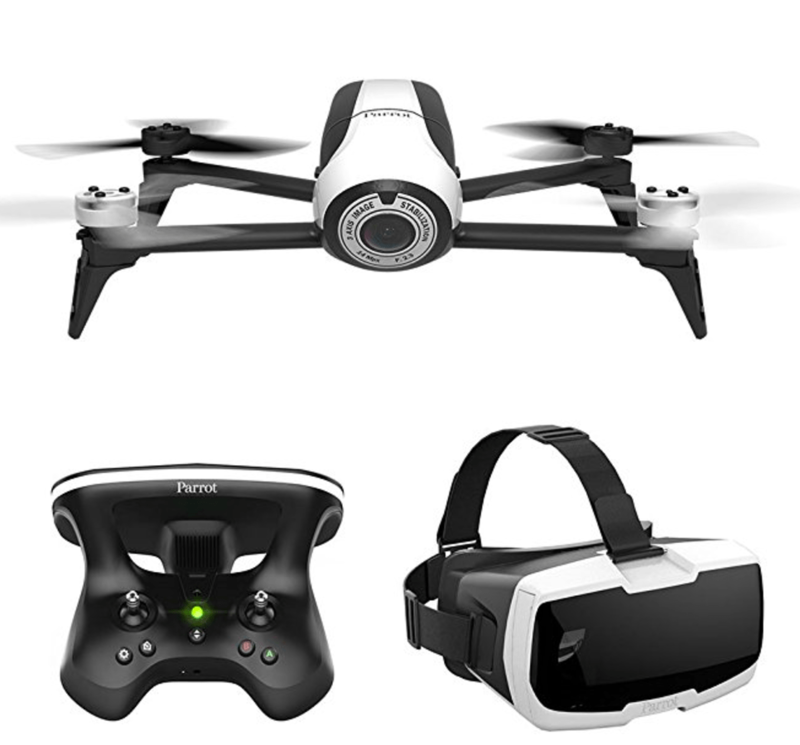 Give the price and the features, these may be the first “mass market” goggles in the camera drone world. Sure, they won’t be used by most professional racers who have customer (read that speedy) setups which fit their uses – but for everyday control and an immersive flying experience, these should do the trick! Stay tuned…..the entire reviews will follow here as it moves along. First, here is the owners manual. It’s nice to have – for example, I didn’t get one with my (pre-production) set, so didn’t even know how to charge the batteries!